The ELT conference that took place in Birgunj on 7-8 November, 2009 was a milestone in NELTA’s progress in several different ways. Attended by teachers from around the country, dignitaries of NELTA, and guests from places like the British Council and the American Embassy, this conference blurred many boundaries. It blurred the boundaries between the regional/local with the national/central; it placed the teachers on the ground in dialog with the experts from the center and the outside; and it challenged the conventional thinking that our job as teachers is to do the practice while someone else will do the thinking, theorizing, and method-building for us. In this issue of Nelta Choutari, which was delayed because we wanted to write about the conference, as well as due to technical reasons, I would like to reflect on and invite NELTA colleagues to share their thoughts and reactions about the discussions that took place in Birgunj. In particular, Birgunj conference was about the need for Nepali ELT professionals to produce their own theories, methods, and practices based on their own work, not only by adapting the global trends in ELT discourse but also in order to contribute to theory-building from the bottom up. The conference both said this and also did it. Regional level conferences of some size must have taken place in the past, but this conference did something new by blurring the line between the central and the local. Colleagues who attended the event are better able to say more about this, but even as I sit here (at a computer on the other side of the world in the US) writing this reflection, I believe I got to know well enough about this event as one of a national proportion—well, but does it matter if it was national or not if it was useful and relevant to hundreds of teachers? More than 300 teachers participating a “local” event is an issue worth discussion, as is the theme of this conference: “Contextualizing Innovations in ELT.” The challenging of binary oppositions like “national” versus “local”—with one better/superior against the other of each pair—is what I want to discuss further here. My argument is also that we should not just be proud that we did something “national” and wait until next time we do a national event: we should continue to blur the distinctions between this kind of opposition and empower all our teachers to think like scholars, experts, theorists, method-specialists, and educational leaders on all planes. We should not limit ourselves to praising how well five or ten experts talked at the conference but about how we are going to continue to put five or ten thousand teachers across the country to the forefront of such professional discourse and about how we can empower five or ten million students through learning a language as a means to creating new knowledge. I don’t mean to put a deconstructionist spin on the issue of professional discourse here but I mean to really challenge the all too prevalent belief among teachers like us that there are experts out there and that the rest of us are supposed to just listen to them. We know that without having the experts—especially those who have the tag “expert” on them—we can’t really get people’s attention. We also know that experts are called experts because they ARE knowledgeable people in the field. But a dangerous problem arises when we create a one way communication by letting the “teachers” just listen occasionally to the “scholars”–because that binary of scholars versus teachers leads into the belief that they are separate people. That false distinction also makes us continue to begin and end our discussion of greatly productive events like this in the praise for the experts, and not even stoke the fire that they left behind. Most of us have thoroughly internalized the practice of simply praising the experts, and not even their ideas, and that is really counterproductive and silly. I consider myself as a combination of ELT practitioner/teacher, theorist/scholar, etc, but I would get upset if someone just praised me instead of taking up, challenging, furthering, and using my ideas to do their work or thinking better. We should take the ideas of those whom we call experts, being our own experts for our work, and put them into serious discussion. AND, we should also foreground the ideas of the teachers, ourselves and our colleagues, on the ground against the ideas of those identified as experts, projecting the teachers AS experts. Yes, we need to remember that the media and the public, as well as we teachers ourselves, tend to pay more attention when there are “national” or “international” experts speaking, or are simply present. Of course, the experts from the center and overseas are known as experts precisely because they are highly knowledgeable and passionate about the ELT profession. And guests are important for a different kind of purpose–for connecting our discourse with the public and promoting our public image and impact. But it it is counterproductive to the professional discourse we want to promote and the empowerment of the teachers on the ground if we pay more attention to the presence of people than to their ideas, and if we pay more attention to the “expert” few than to the teaching many. We need to be aware that there is much harm to our work if we don’t begin to believe that every teacher knows better about his or her own needs, his or her problems, his or her resources, his or her capability to respond to his or her challenges. At the same time as we listen to and praise the few experts from the center and the outside and their ideas, we need to hear about the ideas and expertise, theories and methods, perspectives and intellectual resource of the many teachers. Birgunj conference, I believe, was a move towards such turning around of the table, because in its theme, in the way it put the local teachers in dialog with the experts, and in the way it achieved the scale of what used to be conventionally considered national, it was significant. That was my impression, and as a NELTA member who advocates for the empowerment of the teachers and students at the risk of sounding disrespectful towards the convention of expert-worship, I want to challenge colleagues in Birgunj and around the country to not limit such events to just inviting and listening to the experts but putting the teachers on the ground on the same plane as any expert, then continuing to discuss the ideas, encouraging and creating opportunities for a teacher-first culture in our professional communication. I am aware that when a “local” English teacher, say Gita Madam, talks in front of an international community of ELT scholars, she won’t sound like she has read the latest ELT theories–and you know what? Gita Madam has not yet read very much of that. But Gita Madam is the most qualified person to talk about teaching English in her class: to share the challenges, the excitements, the successes, and the failures of her work. Instead of the experts first telling her what to teach about, how to teach, and why to teach English, Gita Madam must be doing the presentation, the theorizing, and leading and facilitating of the discussion. She must be in a two-way dialog with the experts, gaining the confidence that she and her work matter most, that she should continue to think and rethink the terms of her teaching and its educational and social goals vis-a-vis the ideas that the experts exchange with him. Oppositions like central versus local are problematic not because there is no difference between them in the literal sense (yes, there is); the problem is that the difference has made most of us believe that the national is by default better, more beneficial, more significant, and so on, than the local. That is not only logically and practically untrue but also dangerous because professional discourse—conference, publication, training, teaching materials, or daily chat among teachers—is most beneficial when the actual teachers on the ground are taking the lead in discussing the theories and methods in their classrooms. Without turning the table around and putting the many teachers on an even playing field with the few experts, we will forever continue to celebrate the “auspicious” and “gracious” attendance by the “scholars” and “experts” and “mananiyas” who fly in for a day or two, bless us with ideas we don’t know how they connect to our actual work, and go away, leaving a few news reports and a lot more talk about their personalities than about their ideas. No, this is not a critique of our age old culture of praising people without saying why; this is about the need to encourage and inspire teachers by letting them lead and making our professional discourse more productive. The danger I am talking about is that of our conventional habit of not using people’s ideas to prompt serious and professional discussion after an event. Yes there are material differences between the binaries like global and regional: regional organizations do not have as much resource and expertise as the national and the national organizations don’t usually have the resources of the global organizations. But the problem is that we take that difference to imply that the regional is not capable of thinking, challenging, producing, and changing anything the discourse. We do not even ask what resources already exist, what intellectual caliber we already posses, and what is best for us to do in the unique contexts where we teach. It is dangerous for us to think that the national or global do the thinking and talking for us and that we the local or national can simply sit there listening, or doing little more than clapping hands or writing a three liner to say how wonderful the presenters were. Who doubts about the wonders of highly educated people who’ve given their life to the profession and for creating better opportunities for us, in some cases for decades? Probably no one does. But the problem is that too many of us don’t feel challenged by their ideas to produce our own, to stoke the fire for a thousand others. In the system of the binary oppositions like scholar and teacher, writer and reader, theory and practice, traditional and modern, technologically advanced and the non-technical, western and eastern, rich and poor, those great thinkers and the rest of us—and countless such other binaries that have permeated our thoughts, education, behavior, and professional lives and relations—we have always placed the actual teachers on the weak, inferior, less capable, and less developed side. At best the binaries turn into continuum where the international expert is on the “best” end and the local teacher is on the “minimal” end. We need to challenge, disrupt, and change that worldview by considering the teacher as more capable of producing theories, methods, and practices that best suit their actual work. That is, Gita Madam is the best and most capable person to create or adapt a theory of teaching for her class than anyone else. If she finds that her students write most intelligently when they can brainstorm the topic of the essay in their own language first, that’s the best theory ever for Gita Madam’s class. As teachers of English, we have for too long just taken for granted that teaching English is what the average teachers do, and research and publication, conferences and seminars, training and orientation, and so on is what the real experts do—and while good experts come from Kathmandu, even better ones come from the UK or USA. Frankly, this is a caste system mentality, a mentality that has outlived itself and we need to know. There must be no such distinction between “experts” and “teachers” because teachers are experts. There must be no difference between theorists and practitioners. That distinction between superior experts and inferior teachers is not an idea for the 21st century when democratic, participatory professional collaboration is fast becoming the norm everywhere. Yes, Gita Madam might have read far fewer books and academic articles published in the US or UK; she might have much less knowledge of recent developments in theory and practice around the world; and she needs to certainly listen more and more to the “experts.” But more importantly, she needs to see herself as the expert theorist and method specialist for her class. She must theorize. She must listen to the experts, read the research, and writer herself about her work in the class. It doesn’t matter where she stands as an expert when measured by the standards of Kathmandu, New York, or London. But by the standards of her own class, for her students in the class, for her community and society, she must be the expert, the theorist, the scholar. Only that realization that she can no longer keep listening and saying nothing, that she can no longer see theory and practice as distinctive, that she is not on the inferior side of all the binaries, and that her ideas matter more than anything will help her take the lead. I hope that Birgunj conference has inspired teachers to start thinking like theorists and experts. If we don’t want to call ourselves “ELT theorists,” that’s fine, but what is not fine is to take for granted that we are supposed to teach and not theorize, that we are not experts, that we can’t build our own theories and methods. I hope that Birgunj conference has started disrupting the binaries; that it has convinced many of us that we can create possibilities; that so-called local teachers among us can really present ourselves as scholars, intellectuals, and educational leaders of the society. Birgunj conference was one giant step towards situating our ELT conversation in Nepal itself, promoting professional communication in local contexts, integrating technological and networked sharing of ideas, and in short blurring the boundaries between the binaries. The conference was remarkable for many reasons: a. It was the First Regional NELTA Conference hosted in the history of NELTA b. It was the first time that NELTA Conference had incorporated the variety of presentations such as webinar and round table c. Such a big ELT event had never happened in Central and Eastern Terai d. All the presentations were contemporary. Terai/Madhes is a less aware society in comparison to other parts of Nepal and no doubt ELT of Terai has lagged behind owing to lack of updating: this conference has exposed ELT practitioners to the innovations and also the conference has also been successful in updating their practices to a greater degree, as many of the participants remarked. I hope that participants and organizers will appreciate the work done by Birgunj conference in this discussion on the cyber ELT Choutari. Thank you for reading! PLEASE DO LEAVE A COMMENT. Attending Birgunj Conference was a very pleasant expereince for me as a presentor. I have so far attended many such conferences both as a participant and a presentor. But, never before, I have found such a curious mass of English Language Teachers. They were curious, enthusiastic and eager to learn something new. I think the conference has been able to reach to those language teachers who actually need to be aware of the issues which have been dominating the contemporary global ELT discussions. I have been participating in NELTA events since 2003 in Kathmandu valley, but this is the first time I’ve ever seen such a huge gathering of renowned ELT experts, writers, trainers and teachers from pre-primary to university level gathering out of valley. I was worried about the participation of teachers in my presentation but I had to close the door as the room had been packed in a moment. And the next thing, I found growing ELT professionalism in birgunj from the conference otherwise more than 350 teachers wouldn’t have paid RS 500 for two days conference, as many teachers never pay for training rather expects allowances in training. Regarding the paper presented, many were new ones for me, incorporating present ELT scenario at global context. On the way back, my colleague from Ramechhap said, “I feel I’m returning from abroad participated an international conference. Even Prof. Bhattarai (my guru) presented paper who himself said that he hadn’t presented paper in NELTA conferences for last five years. Most of the participants seemed to be hurried to receive the sessions. I found everyone spoke in English during the conference. To some extent this conference is a great shift in the history of ELT community in Nepal and exemplary one, showed new direction for NELTA. I see Shyam’s posting from two angles: an invitation for the conference attendees and presents to reflect the micro-genesis of the conference happenings and activities as they happened in the conference halls and rooms, and as an ‘invitation’ to blur the boundaries that exist between the assumed poles of expert vs teacher and researcher vs practitioner. At this phase, I am particularly not sure whether this exemplary conference was definitely able to break the boundaries that exist between the haves and have-nots of knowledge of pedagogy and research because I still feel a sense of unidirectional flow of ‘expert’ knowledge that has been evidenced so far in some of the reflections reported earlier. I too however have seen this conference as a true beginning to deconstruct a lop-sided mono-directional flow of knowledge from never-been-teachers-before experts to long-been-teachers-in-diverse-contexts practitioners. 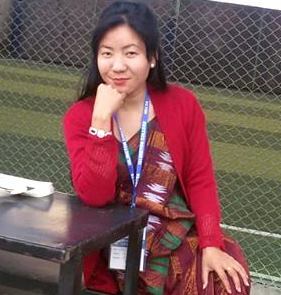 In one of the conferences of Linguistic Society of Nepal that I attended several years ago, one of the prominent linguists from Nepal proudly mentioned “Before some years, all the presenters used to be foreign-born and trained linguists who would speak for us, and we would quietly sit in the hall and listen to them, but today we have home-grown scholars who are able to speak for their own local as well national languages. This is a giant leap for us.” This obviously is a changing and dynamic reflection of how our local scholarship is growing. You might have noticed that when we have plenaries and presentations in NELTA’s international conference, we do have ‘imported’ scholars who, in most cases, have very little experience of local pedagogic contexts and constraints. Our local teachers are more inclined to listen to those ‘international’ experts so that they can learn something ‘new’ ‘innovative’ and ‘global’, but are more reluctant to their own local voices from Ram Sir from Ramecchap. Birgung conference has successfully broken this established legacy, and I see in the presenters’ list that most of the presenters are locally grown and globally nurtured and are familiar with and articulate about both local as well as global constraints. Foreign scholars who spoke during the conference are, I believe, already submerged in the local pedagogic contexts and realities. It is not the color, race or nationality that makes a scholar or a teacher ‘foreign’ to a new context, it is the lack of knowledge that labels one as ‘alien’ to the context. If what Shyam wrote did not happen there and is not going to happen in our next conferences, I see his posting as a form of irony. He will be then reflecting and reporting what is not happening, but what should be happening by now. I still wonder if Gita madam and Ramu sir were able to reflect their classroom practices and communicate them with the invited speakers, or they quietly sat with other 298 audience, listened to the experts agape, and had samosa and khasiko masu at the end of the conference, and felt enlightened by listening to the global trends in ELT that are going around the world, without having any sense of how these global changes make connection to their local classroom contexts. We still need changes. I believe experts do not have to speak only, flowing the pedagogy-knowledge from their big buckets to small local teacher’s mugs; I want the local teachers to turn the table upside down (to use Shyam’s metaphor) and see if they can theorize their local practices and report them to the experts who are from the centers of the country or from other power centers in the outside world. There is nothing as such which we call ‘global’ ‘recent’ ‘innovative’ or ‘new’ unless that is meant for our local context. There is nothing called expertise if that does not take account of local realities and constraints.